This special issue investigates the philosophical and linguistic pragmatism developed by Robert B. Brandom in his book Making It Explicit. 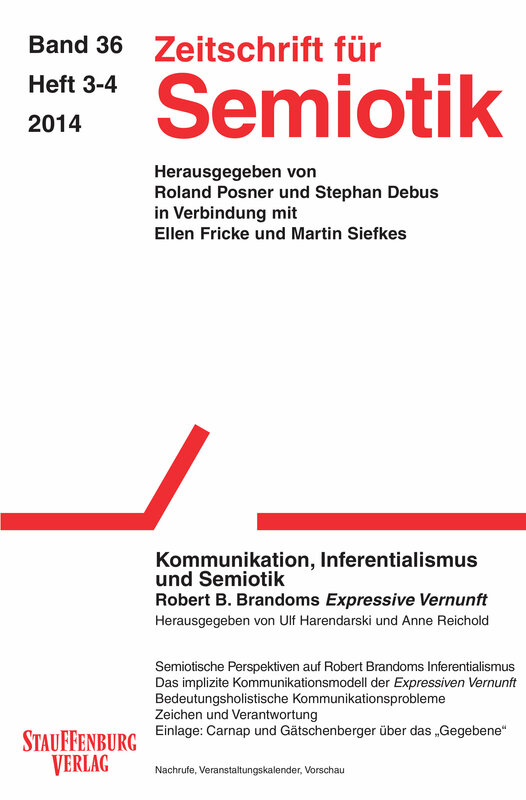 From various perspectives, the contributions of the book investigate the connections between various aspects of Brandom’s pragmatism and semiotic theories and approaches. Die Zeitschrift für Semiotik ist das Organ der Deutschen Gesellschaft für Semiotik e.V.